Justin Bieber has been known to make headlines recently. This week is no different. The 19-year-old pop star reportedly “broke down” at a church sermon. 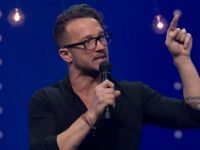 It happened during a service by Pastor Carl Lentz at Hillsong NYC Church on Sunday. 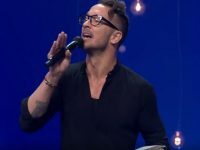 It was Pastor Carl Lentz’ first time preaching at Hillsong NYC’s new chapel service location. Pastor Lentz is called a “punk pastor” because of his edgy appearance and social circle. He has a mohawk and tattoos and is frequently photographed with high-profile musicians and athletes. 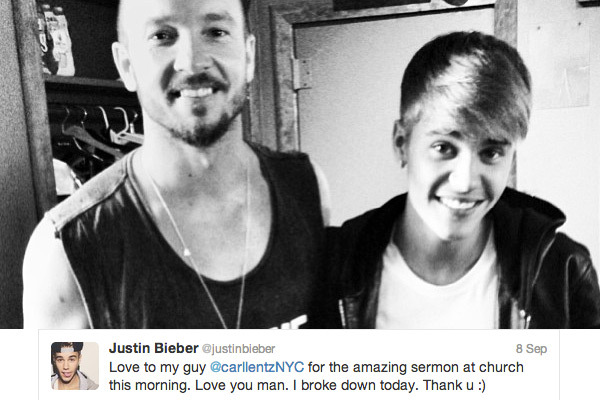 His sermons mix music and pop culture with traditional Bible verses to skew towards a younger, more relaxed audience, which may have been what attracted Bieber to the Hillsong community. Justin Bieber was in New York City attending events to kick off Fashion Week.